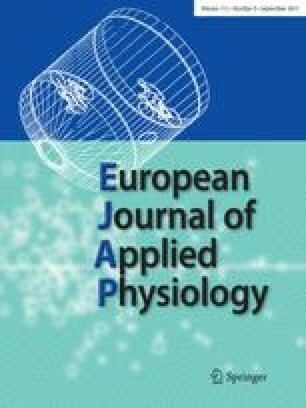 Concentrations of immunoreactiveβ-endorphin (irβ-E), corticotropin, cortisol, prolactin and catecholamines in plasma were followed in 11 healthy women during and after exposure to intense heat in a Finnish sauna bath, and compared to those in a similar control situation without exposure to heat. Heat stress significantly increased prolactin and norepinephrine secretion; the percentage increases from the initial plasma concentrations varied from 113 to 1280% (mean 510%) and from 18 to 150% (mean 86%), respectively. The response of the plasma levels of epinephrine, irβ-E, corticotropin and cortisol to heat exposure was variable. Compared to the control situation, no statistically significant effect of heat exposure on the plasma levels of these hormones was found.